Air conditioners are a must, especially during summer. It makes your home or office cool and comfortable, even though the temperature outside if very hot. However, it's also important to ensure that, despite the fact that you're using your AC quite often, you're not going to use much electricity. 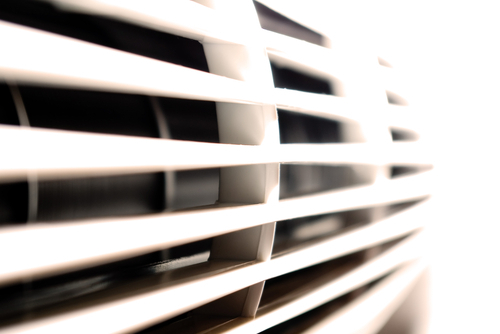 Here are some tips that will help you choose the best energy-saving air conditioner unit. Without a doubt, a smaller AC unit is considered to be a lot cheaper and easier to install as compared to the standard size. Likewise, there are numerous studies supporting that smaller ACs have lesser energy consumption that can be as much as 50%. These studies also reported that oversized ACs usually have the risk of running intermittently that results in a reduction of efficiency, lesser temperature and humidity control, as well as shortening the unit's life. Thus, it's advisable to always consult a contractor that specializes in home energy efficiency in order to determine the ideal size of AC that will be perfect for your home. Most major electronics, appliances, and lighting must meet the specific energy standards given by the US Department of Energy. If you're not familiar with this, energy use, as well as efficiency are usually displayed on the yellow “EnergyGuide” label of the appliance. Don't forget to compare and estimate the annual operating costs of various models in order to determine which one is the most efficient. Likewise, it's often stated in the appliance how much energy is expected to be consumed on an annual basis. Aside from that EnergyGuide, the “Energy Star” logo will also be displayed, especially if the particular model is qualified for such. Furthermore, the summer season is when the electricity bills usually spike up, because there's a need to use the unit a lot more often. Air conditioners consume the maximum amount of power, but it's still possible to buy an energy efficient AC that consumes lesser power. Thus, if you're planning to invest in an AC during the summer, it's important to also check the star rating coming from the BEE (Bureau of Energy Efficiency). This rating will help determine which AC will help you lessen the power consumption, while saving energy and being environment-friendly at the same time. In Singapore, an air conditioner runs for around 253 days in an average year. The BEE rates appliances from 1-5 stars and a 5-star AC is considered to be the most energy efficient, because it consumes the lowest amount of energy-- which only implies that you'll be able to save a lot in your electricity bills. The efficiency of a conventional AC unit is often measured by the SEER rating (Seasonal Energy Efficiency Ratio), but can also be measured through the EER rating (Energy Efficiency Ratio). It's advisable to opt for an AC unit that has a SEER rating of 14, but it'll be better if it's higher, because the most efficient central air conditioners have ratings that goes as much as 24.5 SEER. Just like the name, central air conditioning units have the ability of delivering cool air to an entire room or office. This has been possible because of the ventilation ducts attached to it. Even though this is one of the popular types, central air conditioning units weren't available in Singapore till the 1970s. Opt for air conditioners that have a timer facility. This is very important, especially if you leave your home quite often. You can just set the timer to start the machine 30 minutes before you return. By doing so, you'll be able to conserve energy, but still enjoy a nicely cooled home. Likewise, don't make your home too cold, and always ensure that it's possible to set the temperature around 22 Celsius for a very comfortable environment. If you're not aware, most split system air conditioners have the option of heating and cooling. Thus, with this kind of unit, you'll be able to enjoy a refreshingly cool temperature during summer, and a warm comfortable temperature during winter. - Air PurifierThis is the filtration system that restricts harmful pollutants from spreading all over the room. With this, a cleaner and more environment can be enjoyed within your home. Likewise, there are some air conditioners that have an air purifying function, and this is a great feature that you should look out for, especially if some people living in your home suffers from allergies. Most air conditioners allow the users to choose from different fan speeds, that will with their needs. Sleep mode is specifically to help the users enjoy a peaceful slumber at night. This is perfect, especially for hot summer nights where you usually sweat and feel uncomfortable. Most models have an air purifying function that will ensure that there won't be any kind of odor lingering in your room, such as pet odors and the smell of mildew. Ensure that your energy bills will remain constant and very affordable. This can easily be done with the help of the eco-mode feature of most aircons.